Build trust and brand awareness beyond the product conversation. Inform industry influencers and become known as a trusted expert by publishing innovation, industry outlook and business development best practices content. The Thought Leadership Booster package puts your published content in the right place at the right time. 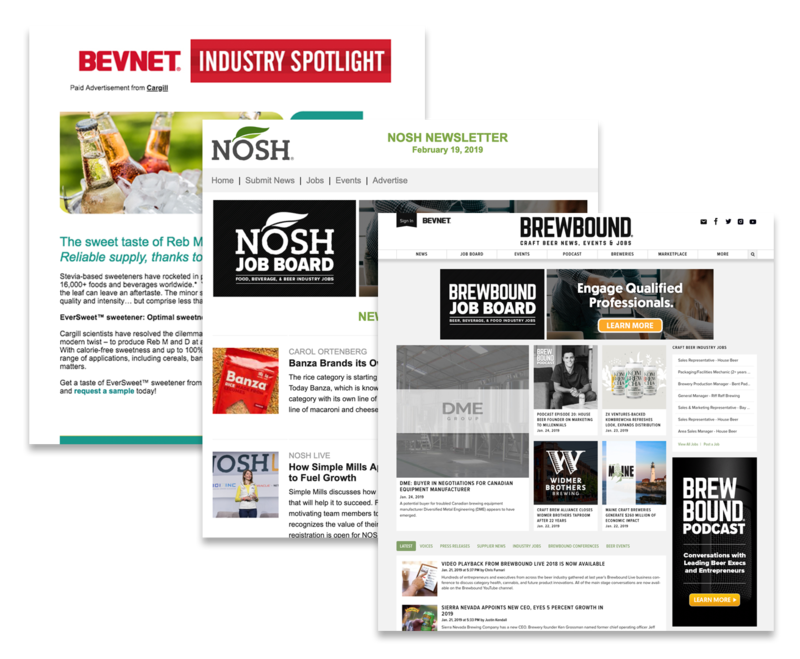 Reach our engaged food, beverage and beer industry audiences to show that you’re an expert in your category and within the industry. Our Thought Leadership Booster package utilizes a variety of advertising products to amplify the reach of your content before, during and/or after it’s published. Based on the level, your package includes a combination of customized eBlasts promoting your content, daily newsletter ads, and ROS display ads for a constant site presence. Establish yourself as an industry expert.